MkvToMp4 is a free MKV to MP4 converter, can change the .mkv to .mp4 without reconverting/transcoding video(if the original video in H264 format). It supports for multiple internal and external audio tracks. You can change the colors for subtitles, add and edit tags for MP4 files (m4v, m4a, m4b). However, what this software can do for you will disappoint you, cause the things it does for you is limited. In this case, we highly recommend you the best MkvToMp4 alternative. Read on to get more details. - Convert MKV to H.265/H.264 MP4, MOV, AVI, M4V, WMV, whatever formats you need. - Offer full library of preprogrammed optimization profiles for whatever device you happen to own. - Customization tools including basic array of video editing features and output profile parameters tweaking otpions. - Perfect output video quality and sound effect. To mkae you know this software in detail, below we will introduce how to use this software and convert MKV to MP4 step by step, and after that, you can see the most specific comparsion of Pavtube Video Converter Ultimate and MkvToMp4. Start the MkvToMp4 Alternative converter, on the main interface, click "File" > "Add Video/Audio" or "Add fro folder" to load MKV files with subtitles into the program. This software allows you to import AVCHD, 4K, DVD, BD, VOB, TS,etc to it. By the way, batch conversion is also available here. Click Format bar and select MP4 as the output format from Common Video list. 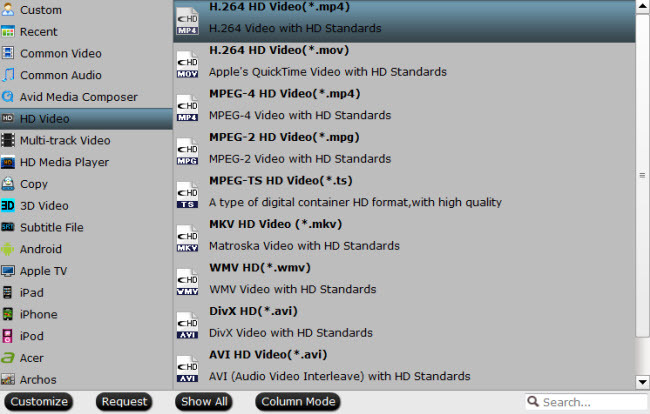 If you prefer high definition video, you can choose "H.264 HD Video(*.mp4)" from the "HD Video" list. 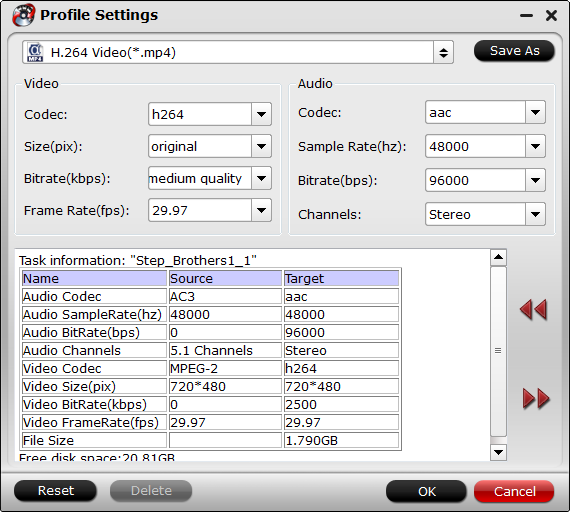 If you are familiar with video format, container and codec, you can directly choose video format, then adjust the video and audio bitrate, frame rate, resolution, channel and more parameters to make the outputed video more fit in your video player and multimedia devices in "Profile" window. With this feature, you even can compress 4K to 1080p video or upscale lower resolution video to higher resolution video. 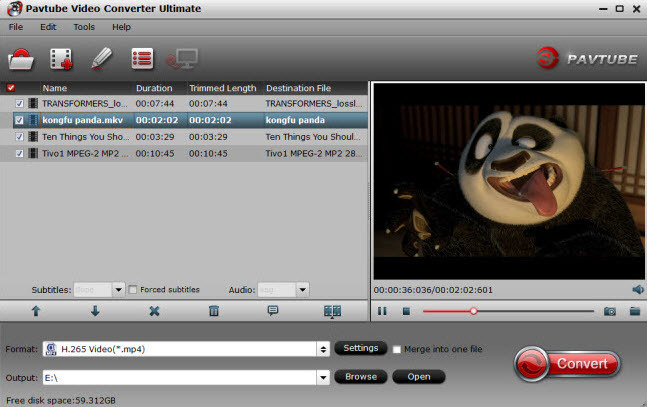 Apart from a Video Converter, Pavtube Video Converter Ultimate is also a video editor with rich video editing functions. With it, you can merge separate video clips into one, insert external subtitles to video, add transparent text watermark/image watermark to video, crop black bars around the video frame, split large video files into small parts, adjust video color brightness, contrast, saturation, remove audio from a video or replace audio in video, trim video footage, crop unwanted area from video, etc. 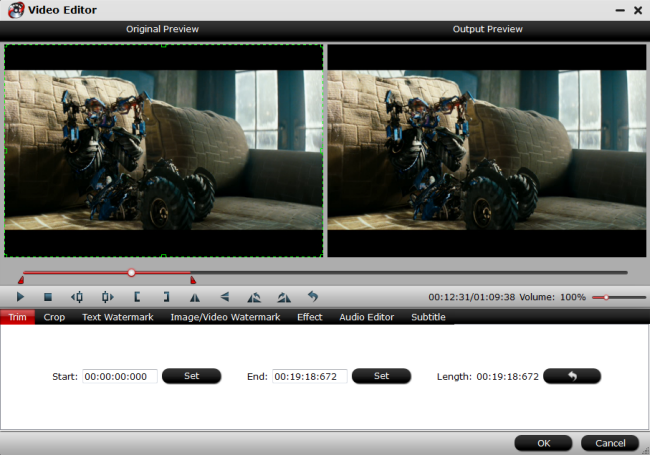 Hit right-bottom convert button to start the conversion from MKV to MP4. When the conversion is completed, click "Open Output Folder" on the main interface to pop out the folder with converted files. Then feel free to view converted MP4 files with subtitles on smartphones, tablets, TV or game consoles with media player apps. From above comaparison chart, we can see that Pavtube Video Converter Ultimate (get Mac version) supports to import not only digital file formats but aslo commercial 3D/2D Blu-ray Disc/Folder/ISO and commercial DVD Disc/Video_TS folder/IFO/ISO image, which MkvToMp4 only convert M2TS to MKV, MKV to MP4, MTS to MP4. As for the output option, Pavtube Converter could satisfy all your needs. So what are you waiting for? Download it and try.